Halloween Time at Disneyland is a frightfully fun and magical time for all ages. Space Mountain Ghost Galaxy, a decked out Haunted Mansion and delectable Halloween Time treats? Halloween Time is the best time! Halloween Time at Disneyland is six weeks of spooky fun- this year in 2018 it runs from September 7-October 31- when both Disneyland and California Adventure transform into spooky fun versions of their normal selves in order to celebrate one of America’s favorite holidays. We had the incredible opportunity to visit the parks for four days as special guests of Disney (thank you so much!). Not only was it our first time at Disneyland, we were spoiled by it being (arguably) the most fun time of the year. Here’s why! Reason #1- The food! 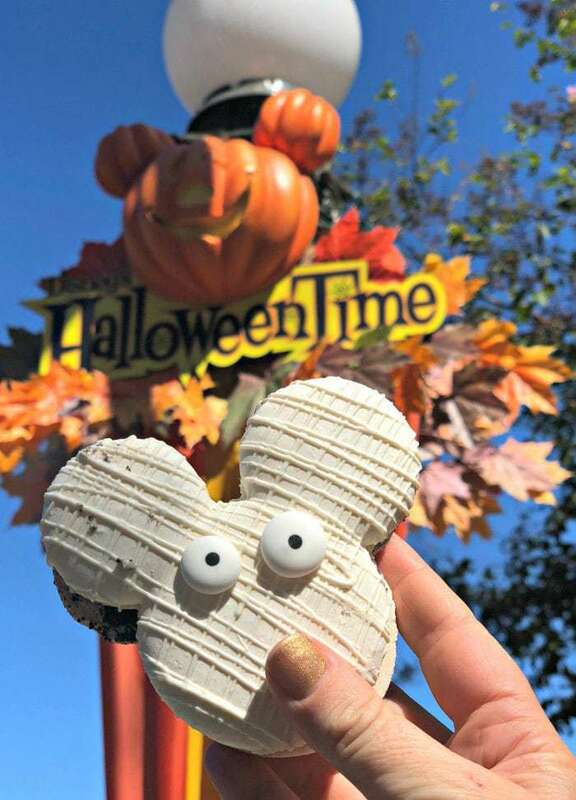 There are sooo many delicious Halloween Time themed treats throughout both Disneyland and California Adventure- all you have to do is look for some of the special limited edition menu items. 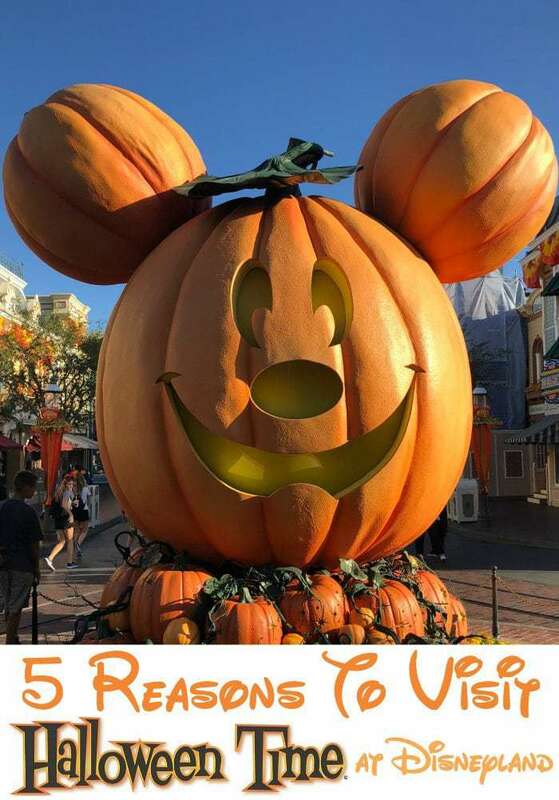 To make it even easier, Disney has a special Halloween Time food guide available at Disneyland Resorts and in the park- and it lists all the Halloween Time food items and their locations in both Disneyland and California Adventure. Super handy! We sampled a ton of different treats, but my favorite was definitely the Mickey Mummy Macaron from Jolly Holiday. Get there early as it was sold out one of the times we tried to buy it! Don’t miss the Halloween Time churros at carts throughout the park, and of course California Adventure treats too. I almost died and went to heaven when I ate the “Spoke-y” Cone Macaron from Cars Land. Reason #2 The decor! From the moment we walked into the Grand Californian Hotel we could smell the sweetness of the powdered sugar pumpkin display in the lobby- and the decor just got better from there. Main Street USA greets guests with the Pumpkin Festival, adorable Halloween Time banners, and of course the huge Mickey jack o’ lantern that’s both festive and an obligatory seasonal photo opp. Keep your eyes peeled throughout the Halloween Time at Disneyland for more frightful halloween touches as only Disney can bring to life! Reason #3- Halloween-themed rides! The Haunted Mansion Holiday is decked out Nightmare Before Christmas style especially for Halloween- there’s even a huge Halloween themed gingerbread house inside! I made sure not to miss Space Mountain Ghost Galaxy- which was easy because it offered Fast Pass and Rider Switch so us adults could check out the ride while also trading off watching the girls. California Adventure has Cars Land decked out for Halloween- and I think it was our favorite place to hang out. 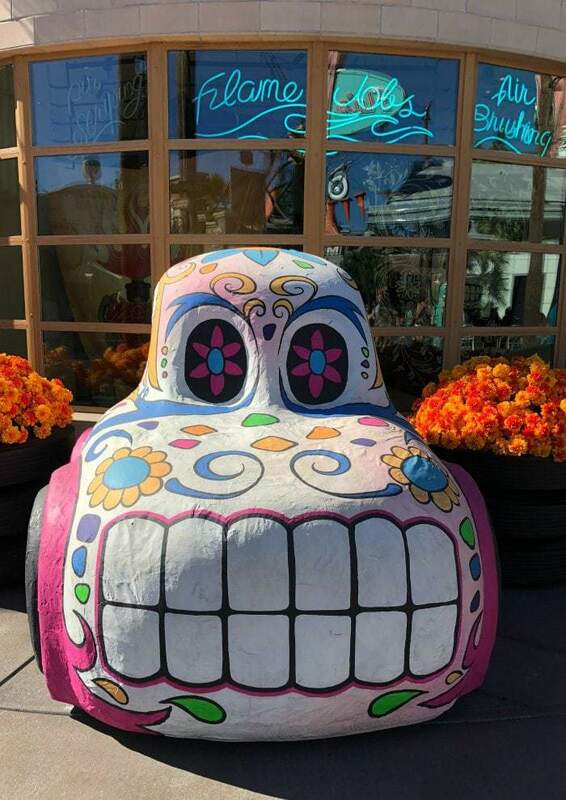 We loved the día de los muertos themed car outside of Ramon’s, and who doesn’t want to ride Luigi’s Honkin’ Haul-O-Ween or Mater’s Graveyard Jam-BOO-Ree at Halloween Time? Guardians of the Galaxy ride also has a Monsters After Dark themed ride- but we didn’t make that one. Guess we will have to go back! Reason #4- Character Encounters. Throughout the park, favorite characters are dressed in their Halloween best. We were thrilled to meet Vampirina in California Adventure. Also on that side of the par was Cars Land, where Mater is dressed for Halloween, complete with widow’s peak! At Disneyland we saw Mickey and Minnie in their Halloween attire, and Goofy has a skeleton costume on. Reason #5- Shopping! 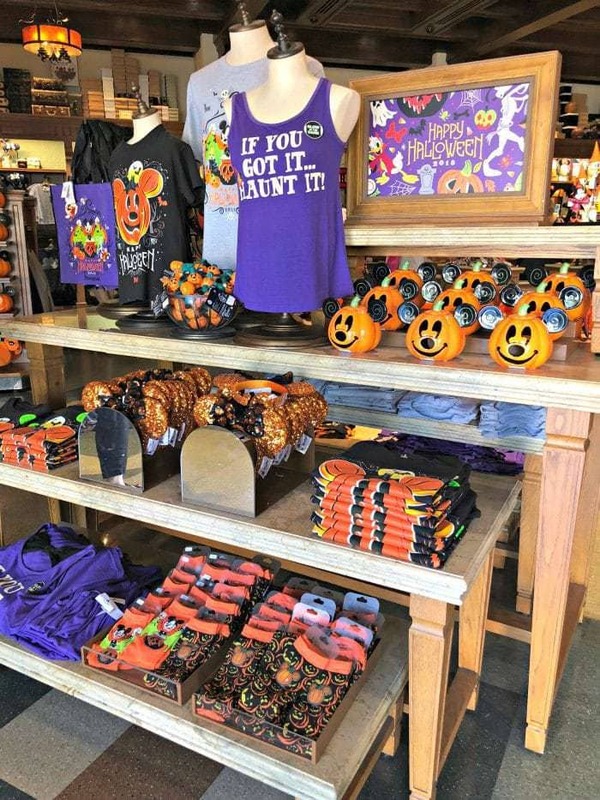 The Halloween merchandise is beyond adorable. Just the ears alone are too adorable. I had a day version of Minnie ears in Halloween orange and black, and a night version of ears that lit up. 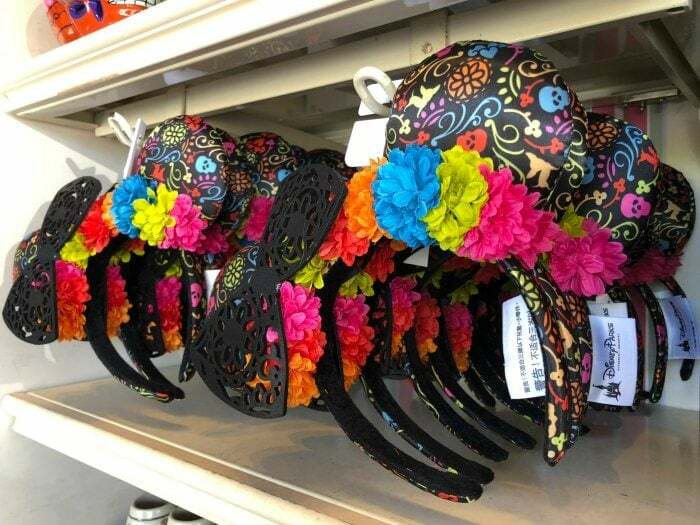 I loved the Minnie ears with the candy corn bow, and the Coco themed ears are the best way to show your día de los muertos spirit. Our girls came home with the Halloween Mickey and Minnie dolls and they sleep with them every night since we got them. Don’t forget there are three special edition Halloween Time pins for trading available in the parks. Tons of fun Halloween Time keepsakes to take home! This was our first visit to Disneyland– and it will be hard to top! Between the amazing themed decorations for Halloween, the extra effects on favorite rides and the amazing food, Halloween Time is a great time to visit Disneyland!